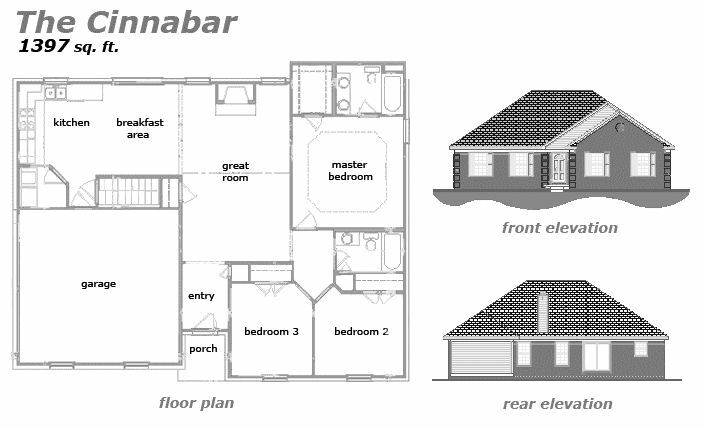 The Cinnabar – 1397 sq. ft. This fantastic 3 Bedroom, 2 Bathroom Brick Ranch home can be yours, courtesty of Jeda Homes! Some excellent standard features like an open floor plan, 2 Car Rear Garage, Fireplace, Spacious Eat-In Kitchen, and much more! Jeda Homes will work with you every step of the way to make sure this home is yours through and through. Our Design Specialist will help you make modification and design ideas. And when construction begins, you’ll be given constant updates about progress. Let Jeda Homes help you make this dream home a reality! For more information or if you any questions, please Contact Us!